Have you had those days where you’re trying to teach a difficult subject to your homeschooler, but your needy toddler keeps begging for your attention? Or your computer continues to ding alerting you to new work emails, but your high-schooler needs you to explain a subject in more depth? 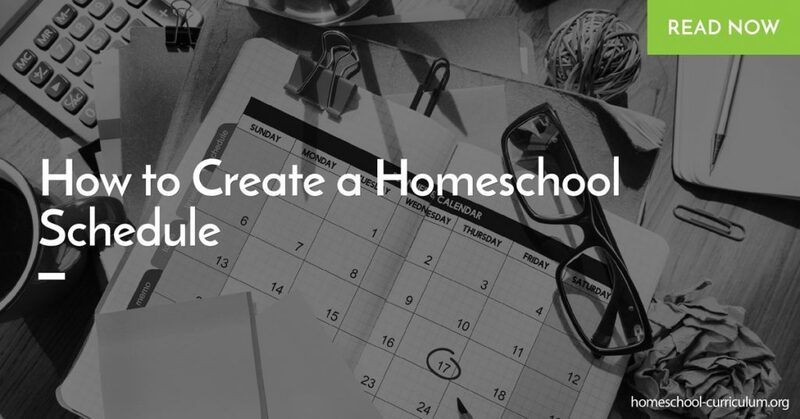 Try creating a homeschool schedule with a simple routine. Consider all the Elements: Maybe you’ve strapped your toddler to your back in the Ergo in order to homeschool your other children, or you’ve tried to entertain them with endless toys, but it just doesn’t work. Consider finding a nanny, doing a trade-off with a friend or neighbor, or teaching the subjects that require deep explanations when your spouse is home from work so your toddler gets the attention they need while your homeschoolers get the education they need. Try to find a homeschool schedule that accommodates all members of your family. Time Blocking: The more basic the schedule, the easier it will be to stick to it. Just like most things in life, the more difficult you make it, the harder it will be to do it. So keep it simple. Time blocking your curriculum is a great way to stick to a schedule. Ponder on what time of day your children are the most mentally active, and plan your home school programs during these times. If your child is strongest at 10:00am, try reserving that time for their most difficult subject and block out 45 – 60 minutes for that subject. Remember to stay flexible as some days the subject may take more or less time. Be strategic about when teaching difficult subjects. Maybe your kids like to get the hard subjects over with, or maybe you start with an easy subject to gain some traction on the day. Whatever you choose, make sure it works for you and your children. Keep it in Balance: All work and no play is a quick way to exhaust yourself and your children. So keep it all in balance. Home school programs should make time for breaks and recess. Try incorporating designated times during your homeschool schedule for educational videos, outside time, fun and academic field trips, and “thinking” games like Bingo, Monopoly, or Jenga. Check Out Time: Just as you have a check out time at a hotel, I recommend you have a routine check out time for your homeschool schedule. Pick a reasonable time for your curriculum to come to a close each day. If one child was dragging his feet, end your school day anyway and have that child finish their work as homework that evening. On my website, you will find many options for homeschool curriculums that best fit the needs of your family and child. Browse these home school programs and see how they fit in with your educational goals so you can create a structured learning program for your child. Previous Post How to Identify Holes in Your Homeschool Curriculum Next Post How Do I Make Sure Everything is Covered Academically?